This is my all-time favourite eye makeup remover. I've probably featured this one a few times, but I don't care because it's amazing! Would I repurchase? Yes, I actually already have another bottle of this but I'll be trying something different first. I have had this exfoliator sitting on my desk for a while now, not really bothering with it. Once I tried it, I fell in love. This exfoliator is extremely gentle yet seems to exfoliate just as good, if not better, than some very scrubby exfoliators. I was impressed. Would I repurchase? Once I've used up a few other alternative, I would definitely consider. 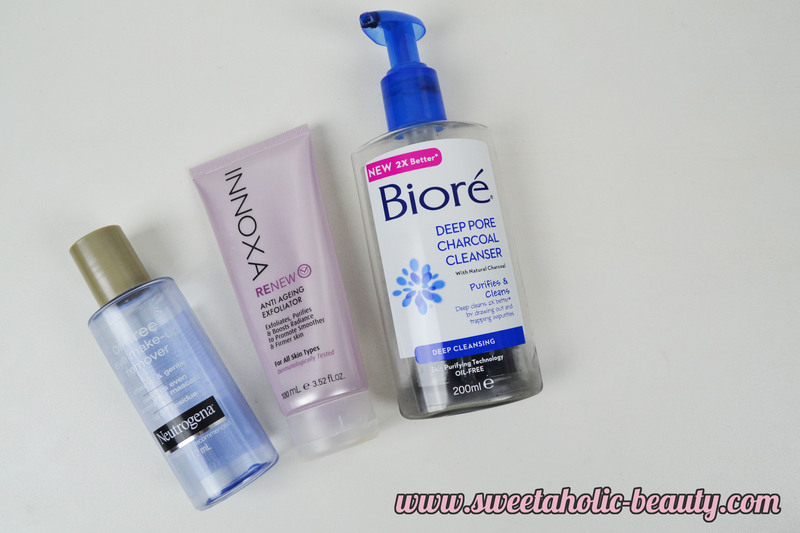 I've been a fan of Biore products for a long time now, and their charcoal cleanser did not disappoint. I found this one to be really great for my oily skin, and I'm sad to see it go. Would I repurchase? Again, once I use up some alternatives I would definitely think about buying this one. Dream Cream is my absolute go-to moisturiser. This huge tub lasted forever, so the slightly higher price tag is forgivable. I have a smaller backup tub that I'll need to dip into for now, but I have so many other alternatives I can use up first. Would I repurchase? Always and forever. When Ponche came out last Christmas, I wasn't sold on the scent at first. When I tried it in the shower, something changed and I fell in love. I had one or two left over bottles from last year that I've been slowly using. I'm so disappointed Ponche wasn't re-released this Christmas! Would I repurchase? I would if I could! I'm sorry but I actually hated these. I don't often mention things I hate on this blog, let alone actually finish, but I couldn't bring myself to waste cleansing wipes. Firstly, the smell was definitely not my favourite scent. I also didn't really care for the feeling of these wipes. They seemed a bit dry and scratchy. Would I repurchase? Probably not. I have a second packed of these in my room somewhere with a different scent. I'll give them the benefit of the doubt and try again, as I could have just had a dodgy packet. My go-to deodorant! I have a few backups of this already so you probably won't be seeing any alternatives for a while. This is my favourite, it works better than anything else. Would I repurchase? Absolutely. The Hapuna Argan Oil has been my favourite for a long time. This made my hair feel very soft, and it also smelt amazing. I actually already have a backup that I purchased after trying this for a few months. This bottle lasted so long, too. Would I repurchase? Already have, but I probably would again! 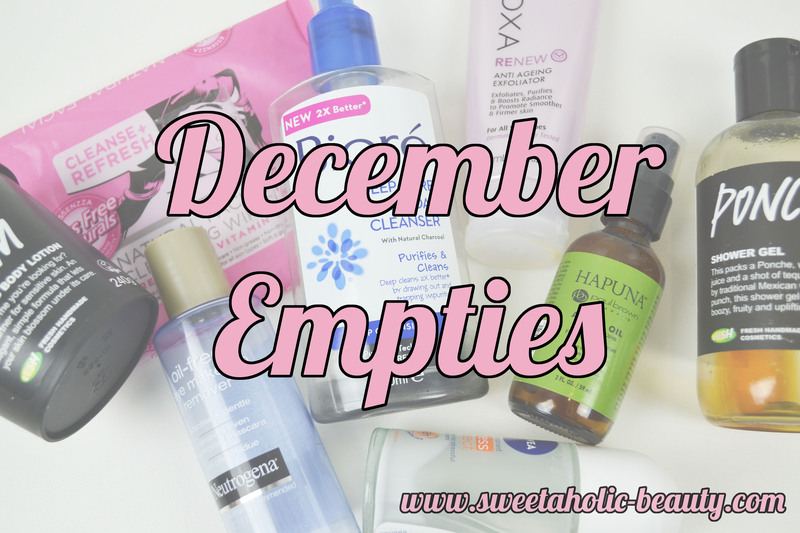 So there we have it, my December Empties. As I said before I'm pretty proud of myself for using up a fair amount of staple products. Hopefully I'll be trying out some awesome new products that I can share with everyone! Great job on your empties! I'm trying to do the same as you by trying not to buy new things before going through my own stash first (although I did do some Lush hauling on Boxing Day haha). I'm thinking you could finish off the other pack of wipes for removing swatches if not for your face makeup? I'm trying to get away from habitually using makeup wipes myself this year - let's see how far I get with that little resolution! I love the sound of that Argan Oil, I might have to try that one out! It is a good feeling when products are used up rather than going out of date and wasted. That's a shame about the wipes! I actually really like them. Hopefully, you just got a pack of duds. Lots of full sized products woohoo! 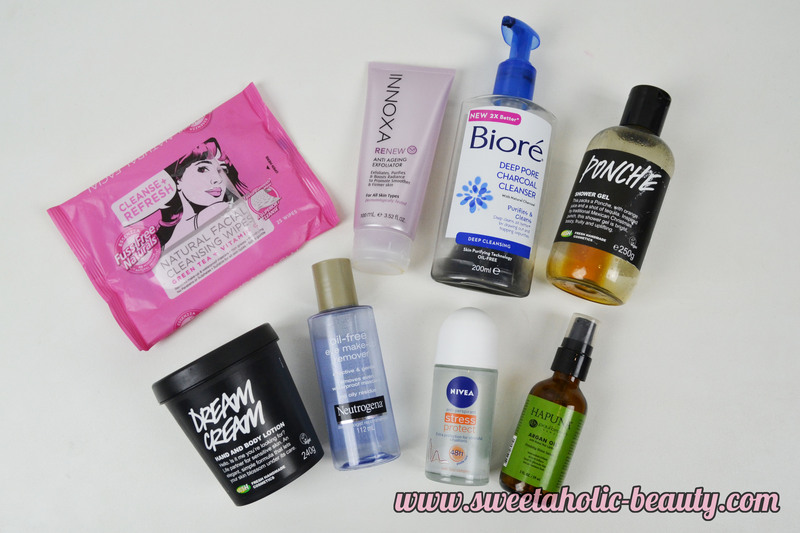 There were a lot of great products that you used up, I really want to try the Neutrogena Eye Makeup Remover because I really like their toner. I love Innoxa products, been meaning to try that exfoliator! It's definitely on my Priceline sale wishlist! That's also my go-to deodorant. 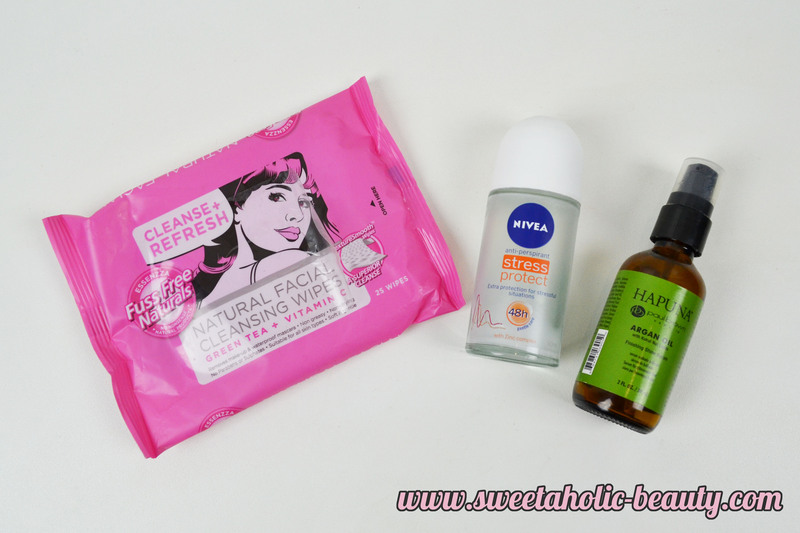 I love trying drugstore makeup removers, I should try the Neutrogena one! I love Lush products too! If the make-up remover is oil-free, does it take off waterproof make-up? love lush! thanks for sharing!